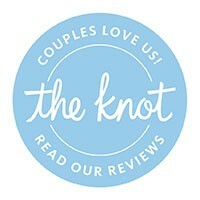 Interlaken is proud to be a 5 star property on both The Knot and WeddingWire! "My husband and I were married at the Interlaken in October of 2016. We had a FANTASTIC time, and continue hearing about how awesome it was from everyone. But an important detail to note is that we literally went from having a "small" event when we first started planning in July, to a full-on 100 person wedding with the works by September (because clearly, we didn't exactly know what we were doing). Every single step of the way, they were friendly and accommodating. We worked exclusively with Tiffany for everything, who was incredible. She was so responsive and calm throughout the entire process, and I really needed that, because we were doing this quickly and somewhat cluelessly. She could not have been a more perfect fit to help us!!! Also a shout out to Terry, who booked our event initially, and who was incredibly understanding, given that we really did not know what we wanted at first! We initially had a lakeside ceremony planned, but it was super rainy, so we needed to move to the atrium area (off of the tent, which I was bummed about at first). Can I just say that when I walked down there for the ceremony, I was FLOORED at how absolutely beautiful the ENTIRE PLACE looked!!! We did not go crazy with decorations at all, and it looked amazing, both the ceremony and reception. People are still telling me how beautiful they thought everything was. Seriously impressive! 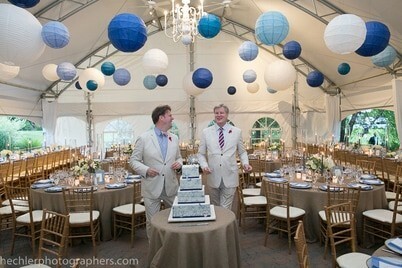 I look back at our photos and just cannot believe how beautiful they made the place look. We couldn't be happier with how everything turned out, regardless of the rain. You are really in good hands with the Interlaken. They have back-up plans, accommodations, flexibility, and staffing that many other places just don't. The food was also incredible, fyi (although I barely ate! ), and our after-party with twenty or so friends/family went until two in the bar. We loved that too. Everything was perfect, and this was all executed in three months. We totally recommend and cannot wait to come back and visit for our anniversary!!!!" "My husband and I just had our wedding over labor day weekend at Interlaken. When choosing a venue, we spent a weekend touring wedding locations throughout CT, NH and VT. We knew we wanted our ceremony to be on a lake, weather permitting. We knew we wanted a venue that would allow us to hold events throughout the weekend for our guests, as this was a destination wedding for most of our guests. Interlaken won us over with their accommodating and flexible attitude, beautiful ceremony site and full wedding weekend offerings. We chose to do a rehearsal dinner and bonfire on Friday night, wedding Saturday and farewell brunch on Sunday. Our wedding weekend could not have been better! Our guests are still raving about the venue itself, the food, the charming guest rooms, the friendly staff and the overall happy vibe that was felt by all at our wedding at Interlaken. Stephanie, our wedding coordinator, was fabulous! She was responsive throughout the planning process. She was extremely flexible, detail-oriented and helpful. She worked with us on every detail and always figured out a way to make things work. On the day of the wedding, she exceeded our expectations! She went out of her way to ensure that the day was seamless. She even averted a potential "crisis" when she realized that our LED candles on our centerpieces did not have batteries with them (our fault!). She went out and purchased the batteries, put them all in and saved the day, without ever alerting us to the issue! You really are in good hands with her. Even my mom and I, who both tend to be type A when it comes to planning, were told to just relax on the day of the wedding and hand everything over to her. We felt so at ease having Stephanie running the show! Overall, I cannot say enough great things about having our wedding at Interlaken. I really have no complaints whatsoever. The staff did their best to accommodate all of the early check in requests on Friday. The food all throughout the weekend was delicious. Our guests loved the bonfire the night before the wedding! It was so nice to say hello to everyone before actual wedding. I also have to rave about the penthouse suite! It is the most amazing suite of all the places we toured! You will be in heaven spending your wedding day getting ready there! We lucked out with the weather. It was beautiful all weekend long! It is a wonderful feeling knowing that my dream wedding actually became reality. Both my husband and I are so thankful for the incredible memories that were made on our wedding weekend at Interlaken. It is a place that will now also be held near and dear to our hearts. We definitely plan to return some day for an anniversary weekend!" "When we were searching for a wedding venue, it was important to us to find a place that could accommodate an outdoor ceremony and cocktail hour but if the weather didn’t hold up, had great indoor options available. We were thrilled when we found Interlaken. We were able to have the ceremony lakeside and when it looked like it was going to rain, cocktail hour was moved inside. Working with Stephanie leading up to the wedding and that day of was wonderful. She was extremely responsive and detail oriented, helping us plan the day and weekend so it went seamlessly. We couldn’t be happier with how the weekend went—from the welcome dinner the night before, drinks in the game room, actual wedding, and breakfast the morning after, everything was wonderful. It was great having all the guests in one place and there was no need to arrange transportation. The whole weekend was taken care of perfectly, and we didn’t have to worry about a thing. The food was also delicious!" "Our son's wedding over New Years weekend was amazing. Our families came from all over for the event and the accommodations were excellent. Everything being right on site made their stay easy and enjoyable. I can not say enough about the staff, food, the events that they planned, they gave my son and new daughter in law the wedding of their dreams. I would highly recommend the Interlaken for your wedding!" "Interlaken Inn is an absolutely perfect place to get married! When my husband and I got engaged one of the goals we had was to try to have a "Wedding Weekend" so that we would have ample time to get to see and celebrate with our family and friends all in one place! "We were able to have a beautiful welcome dinner onsite so that when the guest following the dinner we had a BEAUTIFUL lakeside bonfire! On Saturday, everyone was able to enjoy all the amenities of Interlaken! "As for the wedding itself, it was all perfect! One of the things that is a little scary for a bride and groom who choose to have an outdoor wedding is what if the weather doesn't hold out? Stephanie and the staff at Interlaken have various rain plans which we ended up partially using, however you wouldn't have even known that it was the rain plan because it went so smoothly! "As for the food at the venue, the staff absolutely knocked it out of the park, they did our welcome dinner, lunch on Saturday, Reception, After Party Food and Goodbye Brunch and it was ALL phenomenal. Multiple people said the filet mignon at the reception was the best they have every had! Additionally, all of the meals are farm-to-table in a super unpretentious way -- which we loved! They source everything locally and it really shines through with the quality of their food. 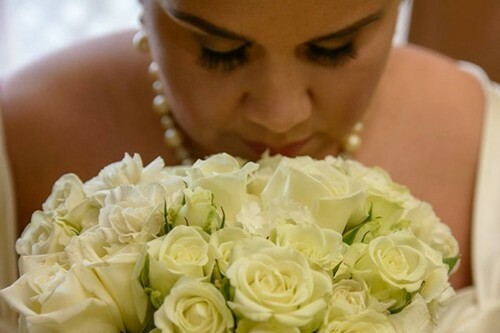 "As for Stephanie, our wedding coordinator at Interlaken Inn, she was absolute perfection in every way and had everything completely under control. Even if you are a relaxed bride, weddings end up being a stressful yet fun and Stephanie put me completely at ease. She has a ton of experience with weddings so listen to her advice -- she knows what she is talking about! She has excellent recommendations for vendors as well which was very helpful! She was so easy to work with through out the entire process and is a true professional and just a really lovely person in general!" 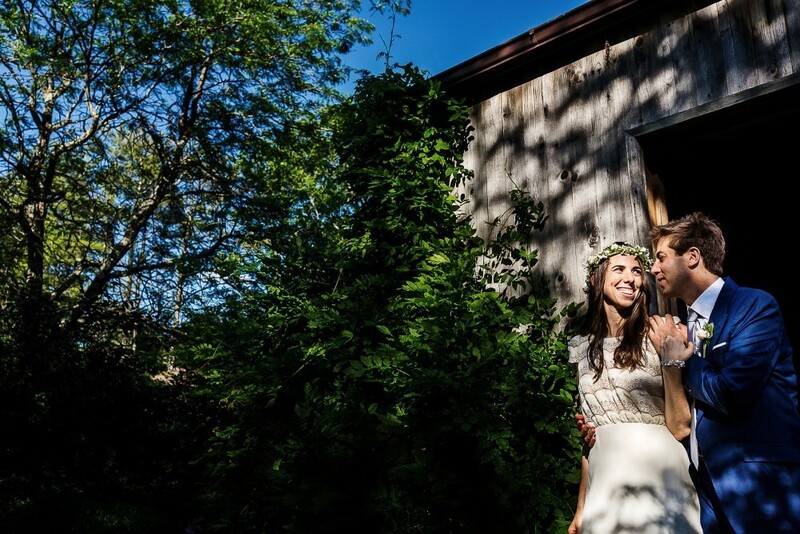 "My husband and I were looking for an outdoor cozy venue and Interlaken was that perfect fit! It was a destination for the majority of our guests and we made it into a wedding weekend getaway (Over Labor Day Weekend). The Interlaken staff was very accommodating. It was a pleasure working with them from start to finish. They put in a lot of hard work into planning our perfect wedding. The food was delicious and the atmosphere was breath taking. Overall it was a fantastic weekend and everyone had a great time. A wedding for the record books for sure! It has been about 6 months now and our friends and family still talk about our beautiful wedding and we have Interlaken to thank." "The Interlaken provided the perfect atmosphere for the wedding we desired. The campus is beautiful, from the lake to the country feel of the inn and surrounding area. We loved the convenience of our guests being able to stay in rooms within walking distance of the reception. The tent is beautiful and you are able to get creative and decorate it for whatever style fits you best. Stephanie was amazing to work with. They know all the ins and outs of putting a wedding together. They gave us amazing tips including a bonfire the night before the wedding, opening the bar for a post-reception "hang-out", etc. They even provided resources for the church we ended up getting married at and the florist we chose to use. Beyond the Interlaken being absolutely breathtakingly beautiful and convenient for our guests, the service was impeccable. Guests of our wedding were raving about the food, both the food at the actual reception and the food served at brunch/in the restaurant. Guests also raved about the service during the reception. The wait staff was always there when you needed them. We had such an amazing experience here, we would suggest it to any couple looking for a relaxing, country, lakeside wedding. We plan to come back and stay a night for future anniversaries!" 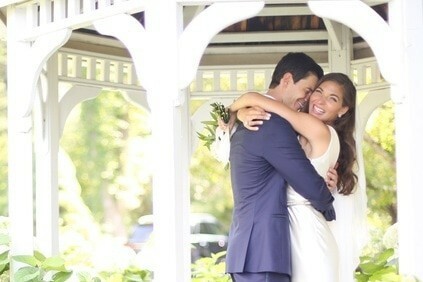 "We had a fabulous wedding weekend with guests from all over the US and Europe. All guests stayed at the Inn for a three-day weekend, including kids. Guests enjoyed the lakeside, heated pool, hikes and kayaking. The wedding included a Rehearsal Dinner BBQ, lakeside bonfire, Wedding Ceremony by the beautiful lake, then hors d'oeuvres, wedding dinner and an after party. The next morning we provided a parting brunch. The setting, accommodations, food, and service were all fabulous. 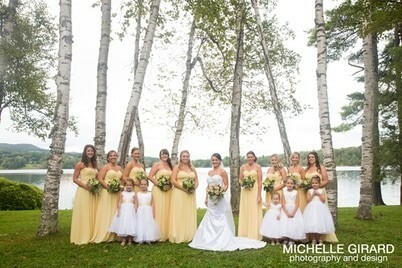 All the family members and guests raved about the wedding weekend experience. The Inn provides Stephanie, an outstanding young woman who helped plan the wedding event, down to menus and vendors. We hired a local florist, Joanne Scasso at the Country Gardener to do our flowers, tent lanterns, the lakeside chuppah and the flowers for the wedding party. She was totally amazing! We all could NOT have been more pleased with this most important event. I would highly recommend this venue." "My fiance and I have lived in Sharon, CT for nine years and had never been to the Interlaken. When we decided to do a wedding we considered having the wedding at our home. But we needed overnight accommodations for our guests so we looked into the areas inns. We had passed by the Interlaken but the facade of the Interlaken had never pulled us in. It was always well maintained and beautifully landscaped but the architecture of the facilities did not really fit our aesthetic. But not having a lot to choose from we went for a tour. We were very impressed with the views at the lake and the overall layout of the grounds. We felt it could be a really lovely place to have our friends and family stay for a weekend in the CT country side. The Director of Food and Beverage/Chef was very professional and easy to work with thru the contracting process. Once we had confirmed our wedding we began working with Stephanie Holst Grubbe. Stephanie was wonderful to deal with. Although she handles dozens of brides at a time she was always lovely and on the ball. Her attention to detail was amazing. She met every challenge we threw her way and made our day/weekend at the Interlaken spectacular. Not that my opinion should mean anything more than anyone elses but I have been planning weddings for 25 years so planning my own wedding was a very big deal to me and I have worked at the best hotels and wedding venues in NYC. The staff at the Interlaken could not have done anything more for me. They exceeded my expectations. In particular the quality and care that went into the food and beverage was exceptional. If you are planning your wedding at the Interlaken make sure you do the Bonfire. Ours was almost rained out but they made it happen at the last minute." "Interlaken Inn was everything we could ask for and more in a wedding venue. We chose the "Intimate Winter Package" which was extremely affordable and exactly what we were looking for to accomadate our 20 guests. Event planner Stephanie Holst-Grubbe was so helpful with all of our wedding planning, from start to finish she guided us along the way. Rave reviews from all who attended our special day. The food was absolutely delicious and the rooms were private and cozy. 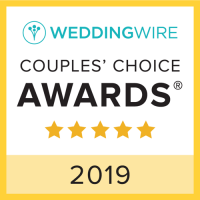 We highly recommend Interlaken Inn for anything from a night out for a romantic dinner to a big elaborate beautiful wedding, they will be sure to go above and beyond your expectations." "The Interlaken has a RIDICULOUSLY affordable Winter Wedding deal that I would recommend to anyone who is looking to save some money on their wedding. We weren't able to get married down at the lake because there was snow but everything else the spring, summer, fall weddings had we also had for half the cost. The food was delicious, the after party in the restaurant was a great way to unwind and the service was wonderful. Anything I asked for they were able to accommodate. The only downfall is the price of the guest rooms if you have people staying over but because we were saving so much money with the wedding we were able to chip in for some of the rooms for people who couldn't afford the full price. I was able to plan and execute my wedding in three months with the help of the staff at the Interlaken as well as the recommended florist they provided for me."